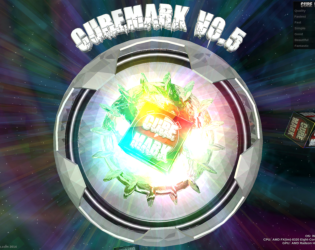 Cube Mark will test the 3d speed of your computer when using the Unity 3d game engines webplayer. Think of it as a guide to how many things Unity can throw around on your hardware. You can target 30fps or 60fps using the menu screen then test the system. Note the PC version is in a compressed zip you just need to unzip it to your computer and select the CubeMark application file to run. Older versions of the Unity CubeMark can also be downloaded and tested the numbers relate to the version of Unity used to make them. Note that the features and interface has changed over time but the core tests have remained the same. Just added my second build of an Unreal version of Cubemark it's an alpha so very basic at the moment.